Whether you’re speeding through city streets or roughing it out on a harsh mountain trail, there’s nothing worse than an uncomfortable saddle. Saddles are one of the most important components of any road or mountain bike. They’re the main contact point between you and the bike, so it’s important to invest in a comfortable option. While most bikes come with a basic saddle, it’s not uncommon for biking enthusiasts to change out the factory saddle with something that’s more fitting. Like with custom bike pedals, a new saddle can improve your riding experience. In fact, many bike owners use the same saddle on different bikes. They come in a variety of shapes, sizes, and materials, allowing anyone to get a saddle that’s perfect for their body and riding style. Even the most minute change can have a huge impact on comfort level and soreness after you complete your ride. To make your search a bit easier, here are 7 of the best road and mountain bike saddles money can buy. 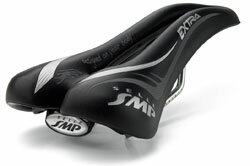 This saddle from ISM is designed with comfort and safety in mind. It is 245mm long and 135mm wide. Wider wings are located near the rear of the saddle to safely support your sit bones. Despite it’s wider appearance, the saddle is specifically designed for fast riding. It features a split in the front portion. This split provides forked support and eliminates any numbness or soreness that may occur. It relieves pressure placed on the perineal artery, which promotes increased blood flow and comfort. The rails are made from Chromoly. The rails work in tandem with the ample cushioning to absorb shock on the body for prolonged comfort. 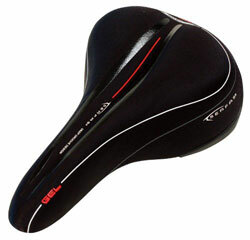 If you’re looking for something lightweight and aerodynamic, this option from Selle Italia is perfect. It is quite thin for increased performance. However, it has enough width to support the sit bones effectively. A cutout in the middle of the saddle will improve blood flow throughout the ride while still supporting your weight. Gel surrounds the cutout for even more comfort. 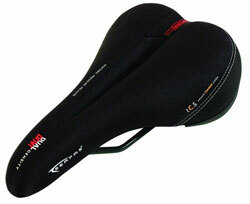 The cover is made from anti-slip material and features ventilation holes to keep the saddle dry. The shell is comprised of 10% carbon composite. It sits atop a layer of elastomers. This elastomer separates the shell from the rails and improves shock absorption. You will experience fewer vibrations and better suspension. The Typhoon bike saddle from ISM is incredibly versatile. It’s made to accommodate a variety of riding styles, allowing you to take the saddle from bike to bike. It is quite wide, which is perfect for road biking. This width supports your weight and bones comfortably. It also has a forked front portion to prevent numbness and poor circulation. The rails are made from satin steel for durability. Ultra gel padding and thick foam absorb shock and make riding a pleasant experience. The cover is made from durable lycra, which is known for its comfort and resilience. From Serfas comes the affordable Reactive Gel Saddle for men. It’s carefully designed for comfort in any riding condition. Dual-density base technology provides great support. While it is wide and a bit heftier, various design choices make it suitable for any type of riding. A unique Infinite Comfort System is used, allowing virtually anyone to use the saddle without any issues. A gel layer on top of the thick foam padding makes the surface frictionless. There’s also a deep groove that runs the length of the saddle to protect soft tissue and improve circulation. 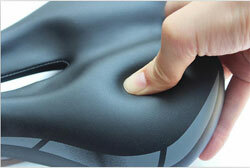 The black lycra cover is attractive, yet durable enough for repeated use. This saddle has a very distinct design and shape. It’s made to improve comfort and safety. 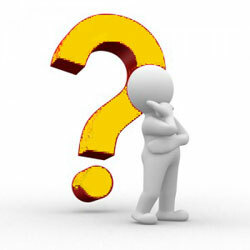 In fact, it’s a popular choice among riders because it reduces compression on the pelvic floor. This will take care of cramps and soreness. The front portion of the saddle is flat. This unique design is versatile, providing different benefits based on how you’re riding. It provides comfort when you’re sitting while giving you relief when you’re not. Also, it gives you better control with your thighs. A long channel will provide relief regardless of where you sit on the saddle. Elastomer padding is located throughout. The cover is made from breathable synthetic material for utmost comfort. If you’re on a budget but don’t want to sacrifice comfort, this saddle from Outerdo is a great option. Despite its low price tag, you can expect great comfort and support throughout your ride. It’s versatile enough for mountain and road biking. It’s light in weight, but still uses an adequate amount of polyurethane padding to keep you at ease throughout a long ride. The cutout in the middle of the saddle will help alleviate pressure and increase blood flow. The rails are made from strong steel while the saddle cover is made from robust leather. It’s available in a variety of color combinations to customize your bike. 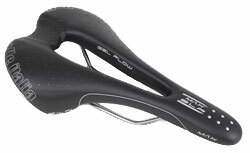 This saddle is very similar to the previous model from Serfas but features a number of unique design elements. 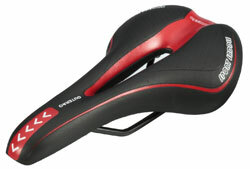 The thing that sets this saddle apart is its utilization of dual-density technology. While most saddles have a single base layer, Serfas uses a layer of rubber. It’s molded onto the base and helps absorb shocks and vibrations. It also has the I.C.S. comfort system and a deep groove. These work together to improve comfort and prevent soft tissue damage. It’s fairly thin, yet provides more than enough padding to support the sit bones. 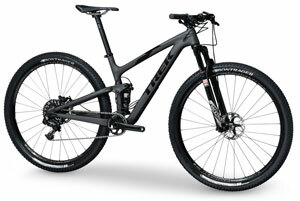 Like with any other bike component, there are a number of things to consider. Many factors can contribute to the overall comfort and performance of a saddle. By knowing what to look for, you can easily find a saddle that suits you. There’s a common misconception that the width of a saddle should correspond with certain body types. However, the truth is, the width of a bike should be chosen based on riding style and what bones touch the seat. There are two bones that should make contact with the seat. Contrary to popular belief, the saddle doesn’t need to support your entire bottom. Instead, they’re designed to support these two bones. Everyone’s anatomy is different, so it’s important to consider how wide these bones are from one another to get the perfect seat. Different riding styles can also play a part in seat width. Generally, faster riding styles require the body to stretch out. This calls for a narrower seat. On the other hand, relaxed and slow road riding often shifts your body upright, thus placing more weight on the seat. In this case, you’ll want to go with a wider saddle. Most saddles incorporate some form of cushion. Many use foam padding to support your weight and decrease the impact on sit bones. The amount of padding varies greatly on a number of factors. 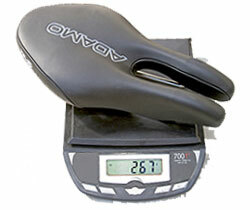 Narrower saddles designed for racing generally have less padding to avoid chaffing. Wider saddles tend to have the most padding. Cushioning and special gel pads are often placed very strategically to maximize comfort. Contoured seats utilize various layers of foam. These contours will often improve body position while providing comfort. Cutouts are another common design elements. Like helmets are designed to protect your head from lasting harm, cutouts and grooves are designed to protect your lower body. They are made to increase blood flow through the body to ensure that numbness and soft tissue damage doesn’t occur. If you have a health concern, cutouts are a must-have. Manufacturers use various materials to construct saddles. They affect comfort, performance, and weight. Plastic is commonly used on the base of the seat, though many high-quality models use carbon fiber to decrease weight. The rails used on the saddle can be made from carbon fiber or metal. Steel rails are common, though other metals like titanium can increase flexibility. Rails will act as shock absorbers, ultimately adding comfort. Materials used to cover the saddle will vary from manufacturer to manufacturer. More affordable options may incorporate synthetic materials while pricier models use real leather. Other materials like Kevlar and high-quality polymers will increase durability. Depending on your riding style, weight might be a concern. If speed is your game, you’ll want to decrease your overall weight on the bike as much as possible by using a light backpack, gear, and saddle. Saddles contribute a big portion of the bike’s weight, so many light and aerodynamic options are available. Lighter materials on the base and rails of the saddle, like carbon fiber, will dramatically reduce weight. Ventilation holes, lighter padding, and cutouts also help minimize weight. Generally, lighter saddles have a larger price tag due to the careful design and unique materials. Another thing to consider is the saddle’s durability. Cheaper factory saddles tend to have a shorter lifespan. Rips in the saddle cover will expose the inner padding and eventually deteriorate the base and rails. Torn and damaged saddles will cause immediate discomfort and pain. High-quality synthetic materials are commonly used to add durability to the saddle. 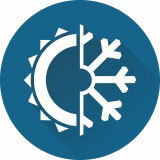 These materials are strong and resistant to weather. If you’re biking on a mountain trail, they will withstand dirt and water. Most are also easy to clean and maintain, allowing you to use the saddle for many years to come.